It’s difficult to get a proper review from actual riders that are unbiased these days, which is why the team at King of Watersports decided to take one out and test it for ourselves, completely open minded. Below are our thoughts on the harness! The first thing you notice when you put the harness on is the back support. 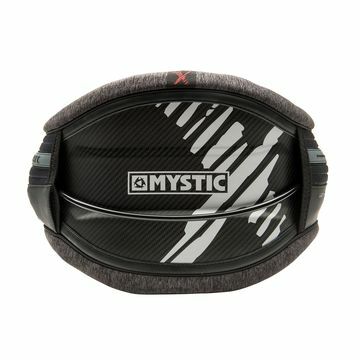 Due to the carbon construction in the Majestic X, even when not done up, you notice the tight fit. This is ideally what you want in a harness, as the tighter the fit, the less the harness will ride up, meaning a more supportive and more comfortable fit. 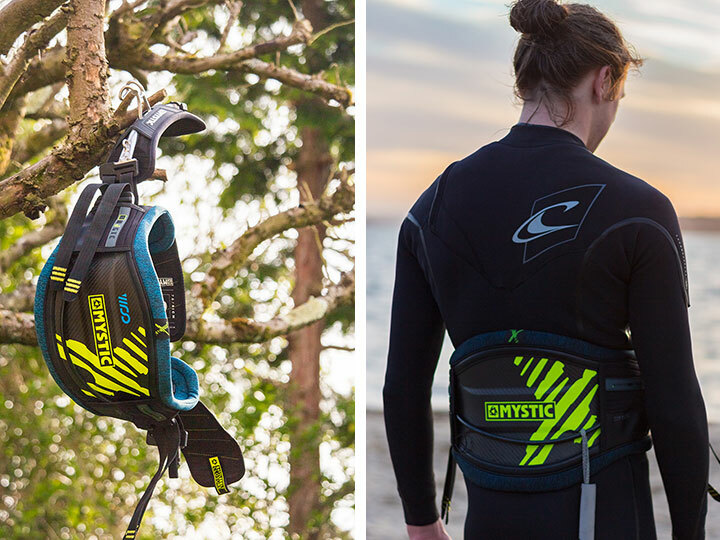 We recommend sticking with the size harness you’d normally buy in the Mystic Majestic X, as with this harness, you want it to be tight at first, and for the foam to start moulding and adapting to the shape of your body. The next thing you notice on the harness is the construction. 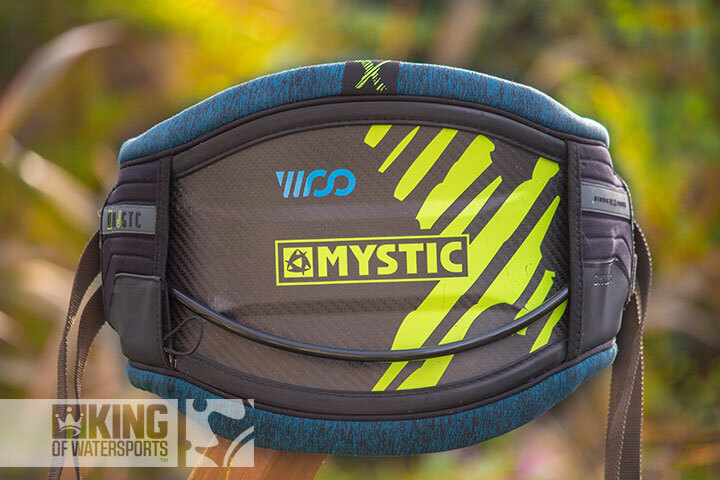 Mystic have learnt from their mistakes and made a harness with a super strong stitching along the seams. 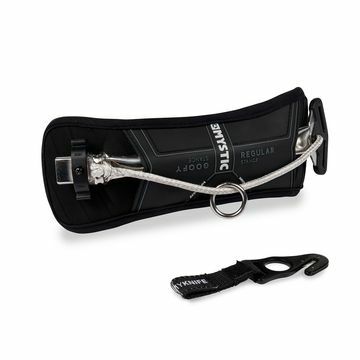 This prevents the stiff back-plate from separating from the material itself, meaning that you’re pretty much guaranteed to have a harness to last you for a few years to come! Following that, the spreader bar connection is the next thing you notice. The wide hook means this harness is easy to unhook and hook back into, as well as keeping the depower close to you for all those freeride guys out there. Even with a neoprene jacket on, you’re able to hook back in after stomping that back to blind! The spreader bar can also be replaced if you ride a Fireball system for example, with 4 straps that are connectible with pretty much any spreader bar on the market. The last thing you notice on the harness is the lack of the spreader bar riding up. Even when you’re powered, due to the 4 connection points on the spreader bar, the hook always stays nice and low, meaning you get a comfier ride! 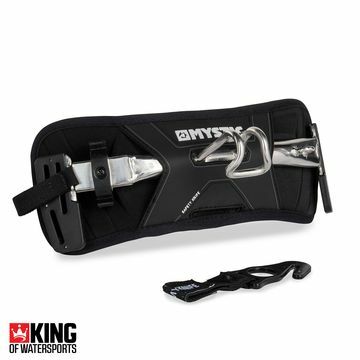 So that’s our take on the Mystic Majestic X, which is now in stock at King of Watersports. For any more info, feel free to give us a call on 01202 763675!